I. Jankovic, R. Suribhatla, M. Bakker, and K. Bandilla, A new analytic element solution for steady two-dimensional groundwater flow with many elliptical inclusions. 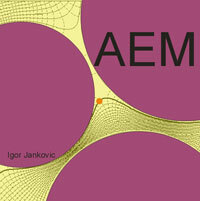 J.R. Craig, K. Bandilla, I. Jankovic, Iterative solution for the analytic element method: recent computational advances and object-oriented design. D.R. Steward, Mainstreaming the analytic element method through GIS technolgy. T.S. Sarris, M. Tolika, E.K. Paleologos, Quantification of the effect of infiltration rate in the Savannah river site, SC using analytic elements.